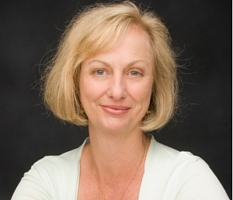 Advanced Manual Therapy Associates was established in 1995 by Dr Barbara Hungerford Ph.D (Ex. Sports Science), B.App. Sci. Physiotherapy, APAM, SMA. The philosophy of AMTA is simple: to advance therapists diagnostic and manual therapy skills, with a particular focus on the Lumbar spine and pelvis, thoracic spine and rib cage, and the cervical spine. The manual therapy techniques taught on AMTA courses combine Barb’s own PhD research and techniques developed and learnt over 35 years working as a physiotherapist, along with the integration of the latest research findings in back pain, the pelvis and thorax, exercise rehabilitation and brain sciences. Muscle Energy techniques are combined with articular techniques, myo-fascial and visceral releases, neural techniques and cranio-sacral therapy. This integrated approach is designed to add to the skills of each therapist as they embark on our courses, so that their diagnostic and hands on skills can become more specific and appropriate according to the needs of each client. The Human body is an amazing structure with complex interactions happening between our brain and the musculo-skeletal system, respiratory system, nervous system, the viscera and our vascular system. Learning about the human body, and how to treat it is a life long journey, and at AMTA we hope our courses can assist you on that journey. Cervical spine and cranial/ sub-occipitalrestrictions and headaches. Please go to our specific course pages for details about the content of each course. In 2003 Barb opened the Sydney Spine and Pelvis Physiotherapy Centre , at 101 Lyons Road Drummoyne, NSW, 2047, Australia. This practice is where the AMTA team treat patients, and aim to provide excellence in diagnostics, treatment, rehabilitation and education for people with pain or injury of the neck, thoracic and lumbar spine, pelvis, hip and related structures. Please click the link below to find out more about Sydney Spine and Pelvis Physiotherapy Centre . Dr Barbara Hungerford graduated from University of Sydney in 1982 and then began working as a physiotherapist in Australia and overseas. In 2002 Barb completed a PhD that focused on altered pelvic biomechanics and muscle recruitment patterns associated with pelvic dysfunction. She was lucky enough to have Diane Lee & Assoc. Prof. Wendy Gilleard as her supervisors, and to work with Professor Paul Hodges on the final component of her PhD research. Her research post PhD then progressed into verifying clinical assessments of pelvic function, and diagnosis and treatment of SIJ insufficiency and she has published multiple journal articles. She is presently researching new radiological methods for assessment of pubic motion and stability with Dr John Read. Barbara has been a key note speaker at International and National Congresses including the World Congress for Low Back and Pelvic pain in 1998, 2001, 2004 and 2007, IFOMT, Australian Physiotherapy Association Conferences, SMA Conferences and National Singapore Conference in 2009. Over the span of her career she has had the opportunity to learn from amazing manual therapists such as Vladimir Janda, Geoff Maitland, Diane Lee, Jenny McConnell, Brian Mulligan, Philip Greenman, Fred Mitchell Jnr, LJ Lee, Jean Paul Barral, Gail Wetzler, Annabel McKenzie and Ron Mariotti. These people have all had their influence on the approach Barb teaches in her AMTA courses as well as on her clinical expertise. Dr Barbara Hungerford has run her own private practices in Sydney for over 28 years. She is the director and Principal physiotherapist at Sydney Spine and Pelvis Physiotherapy Centre and a consultant physiotherapist at North Sydney Sports Medicine Centre and The Stadium Sports Medicine Centre, Moore Park. Her special interest areas are treatment of low back and pelvic pain, treatment of pregnancy related pelvic and thoracic injuries, thoracic and rib cage dysfunctions, thoracic outlet syndrome,plus neck and cranial issues including headaches, TMJ pain, and referred arm pain.